OurPet?s products help to maintain your pet?s health and wellness. Nuggetized for longer life and less mess. 2-3 times more potent. Harvested at peak potency. Grown in USA from non-gmo seeds. . 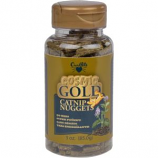 Contains catnip. Provides mental and physical stimulation. . . . Promotes natural nail grooming. Huggable toys that are great for kicking. Cats love the crinkle sound. . .
Super Fun and Super Durable!. . . . . Rugged rope. BPA and latex free balls. Puncture resistant. Made in USA. . Rugged rope. BPA and latex free balls. Puncture resistant. . .
Unpredictable mouse movements stimulates cats hunter instincts. 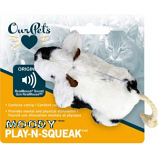 Play with mouse inside or outside the pouch. . . .
• Includes Carpeted Scratching Area. 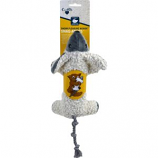 • Perfect For Smaller Cats and Multiple Cat Homes. • Electronic Real Mouse Sounds.